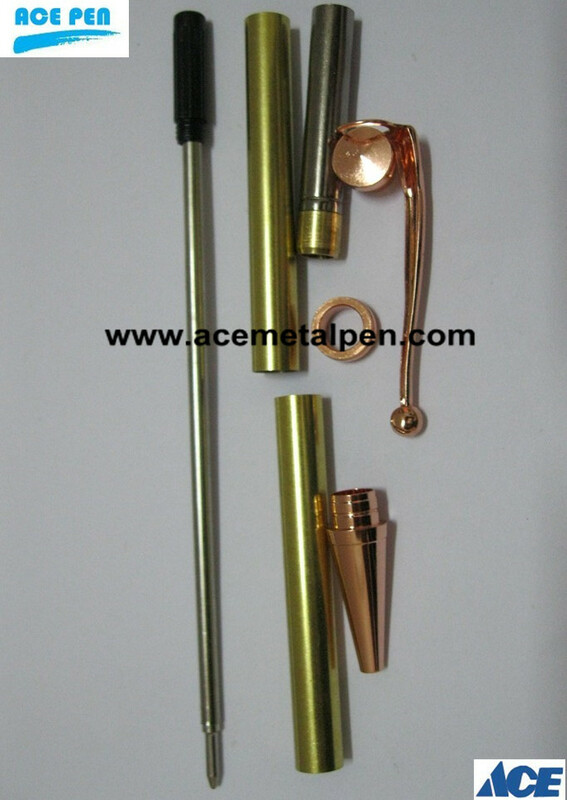 Easy to make and popular, these Fancy Copper plated pen kits will give your pen a subtle and elegant look. It will compliment most of your arcylics and many wood species. Regarding the plating, we offer a wide range of finishes including Chrome,Black Chrome Gunmetal and Gold Plating. The gold plating we use is the rack plating and it is real gold with ‎24k carat gold. While we are using Environmental protection tri-valent chrome. Except the gold, chrome plating, we can provide different kinds of electro-plating standard, such as copper plating, gun metal,‎ satin gold plating, Rose Gold,‎Titanium gold, Black Titanium and Platinum, nickel-free plating etc, as demanded by customer. 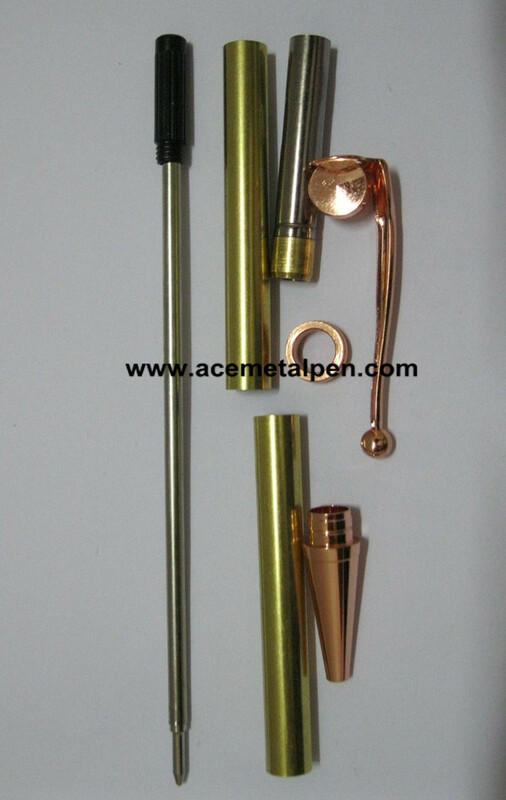 And all of our pens kits are made by high quality copper and comply with international quality standards and they are greatly appreciated in a variety of different markets throughout the world.